Single Hole Waterfall Faucets: Perfect for recessed & above counter sinks. 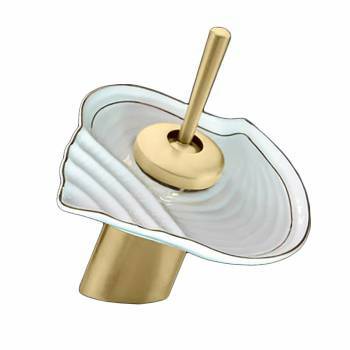 Solid brass construction with a tarnish resistant Antique Brass finish. Top rated high quality internal cartridge tested to last 500,000 cycles. Features a modern solid brass joystick style handle. Comes complete with supply lines & mounting hardware. 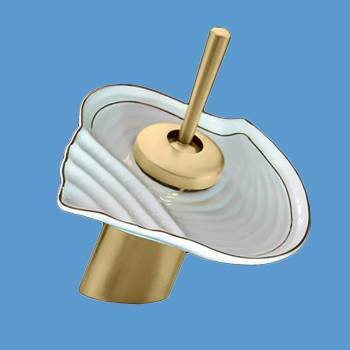 Purchase additional round glass or ceramic disks to change your faucet look! Overall height is 7 inches. The faucet was much bigger than it appeared in the picture and didn't work for me, however it looked like it was a quality product.